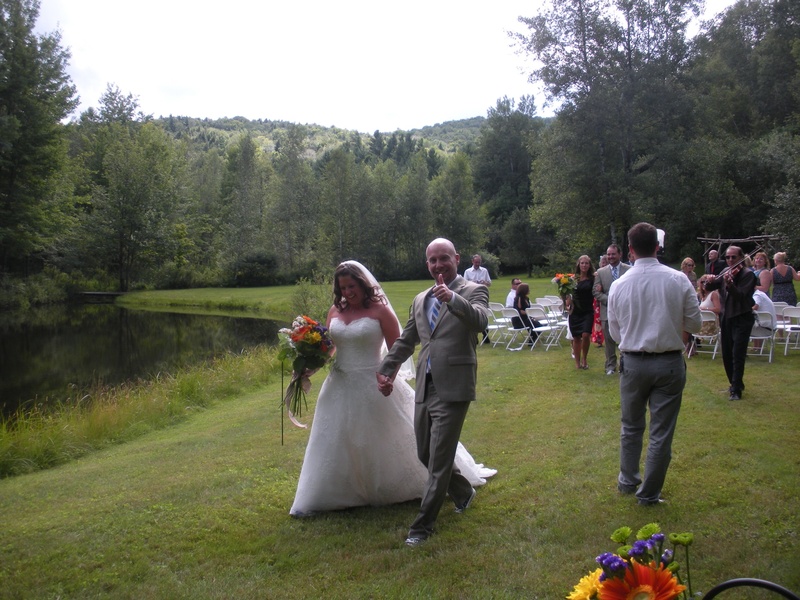 Consider the Moose Meadow Lodge for your wedding celebration. The unique Adirondack-style architecture and decor of the Lodge, the spectacular views, secluded natural surroundings, and Vermont hospitality will make your event truly special. For your convenience, we'll handle the license application process for you, so you won't have to take time from your vacation. We specialize in intimate weddings and elopements for 2 - 30. For larger events, please contact us for more information. WEDDING PACKAGES: Click here to see our Wedding Packages. RENEWAL OF VOWS SPECIAL: Do you have a civil union license, but want a civil marriage license? Or do you want to renew your wedding vows? Click here for the Renewal of Vows Special. FIND VENDORS: Click here to view our Services Guide.